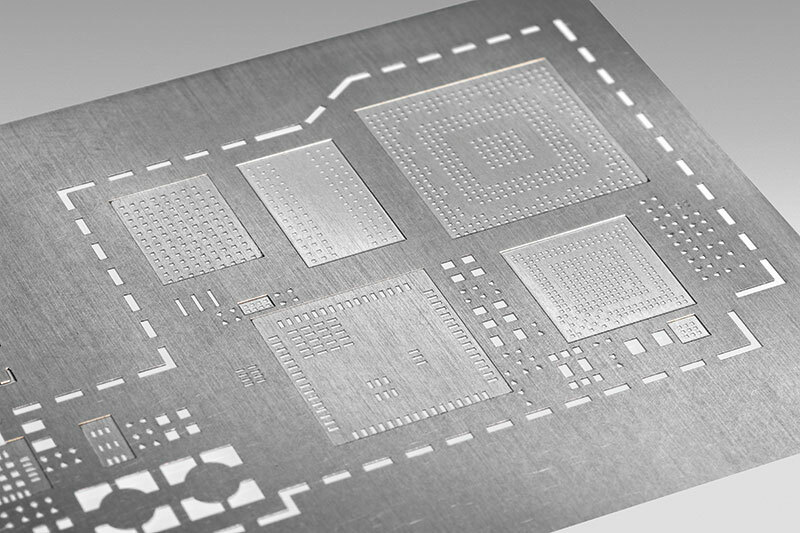 Produced with the latest micro-milling technology, DEK Multi-level (step) stencils offer extremely tight tolerances to allow consistent printing for PCBs that contain fine-pitch parts arranged over a large area and/or a high mix of components. Exceptional accuracy and repeatability are possible with single stencil printing, even with complex board designs. Have a challenging component arrangement? Call us about DEK Multi-level stencils. ASM Assembly Systems USA Inc.